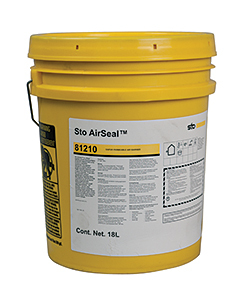 AirSeal air barrier is a fluid-applied, acrylic material that cures to form a seamless membrane, according to the company. Waterproof and vapor-permeable. It is applied directly to vertical above-grade concrete masonry units, brick masonry and cast in place concrete.